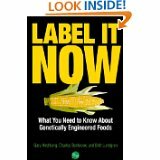 Label It Now by Gary Hirshberg, Charles Benbrook, Britt Lundgren (Author) (Jan 3, 2012) Kindle Edition Auto-delivered wirelessly ~ This book cuts through the complicated scientific debate about genetically modified food to put forth a simple premise: We all have a right to know what's in our food. Genetically engineered foods have rapidly become a part of our food supply, with little oversight or scrutiny. Without a requirement to label foods containing these ingredients, we are forced to be guinea pigs in a giant experiment involving our health and the environment. 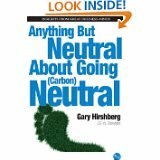 Co-author Gary Hirshberg, CE-Yo of organic leader Stonyfield says "I have witnessed too much carelessness to remain silent. 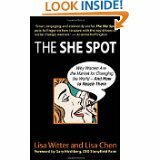 For the sake of our children, our behavior must change." 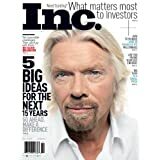 Inc. (1-year auto-renewal) [Print + Kindle] - 10 issues / 12 months ~ Inc. is the only major business magazine edited exclusively to guide CEOs and owners of small-to-midsize companies to success. 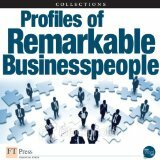 Inc. provides fresh, insightful analyses to give the major players in the business world the tools they need to excel. 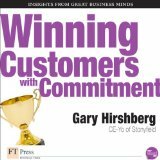 Each issue uses real life examples of strategies, case studies, and successes and failures edited specifically to illuminate new ways in which its readers can benefit. Big and small organizations alike turn to Inc. to make sense of ever-changing business world. The pages of Inc.are printed on 100% recycled paper. Inc. is dedicated to the preservation of the environment and makes sustainability a part of its core mission. 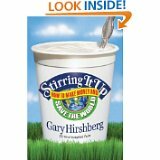 Gary Hirshberg is the husband of freelance writer Meg Hirshberg and the father of three yogurt eaters. 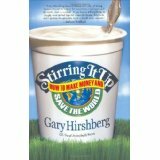 He is Chairman, President, and CE-Yo of Stonyfield Farm, the world's leading organic yogurt producer. 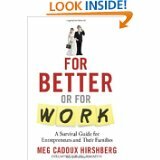 For Better or for Work: A Survival Guide for Entrepreneurs and Their Families by Meg Cadoux Hirshberg (Author) (Mar 5, 2012) Hardcover ~ How does someone who is obsessed live peacefully with others who are not? That question summarizes the quandary faced by company founders and their families. 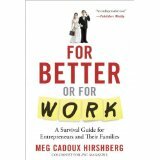 To answer it, Meg Cadoux Hirshberg examines the impact—for better and for worse—of entrepreneurial businesses on families and relationships, and vice versa. 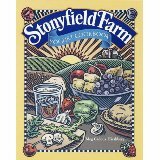 Stonyfield Farm Yogurt Cookbook by Meg Cadoux Hirshberg (Author) (Aug 24, 1999) Paperback, Paperback ~ There's more to yogurt than an energizing breakfast treat or a healthy afternoon snack. As the folks at Stonyfield Farm know, yogurt is a flexible ingredient used in cooking all over the world, one just now claiming its spot in American kitchens. With its surprising versatility, creamy texture, and piquant flavor, yogurt is a lowfat alternative to sour cream, cream cheese, or vegetable oil in all types of recipes--baked goods stay moist, flavors intensify, and calories and fat content remain low. In the Stonyfield Farm Yogurt Cookbook, America's fastest-growing yogurt company presents yogurt enthusiasts and newcomers alike with over 300 recipes for Breakfast and Brunches; Breads; Fresh Fruit and Yogurt; Smoothies; Dips, Spreads, Sauces, and Dressings; Soups; Salads and Side Dishes; Main Dishes; and, of course, Desserts. 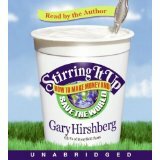 It also includes sections on how yogurt is made and the importance of yogurt as a major source of nutrients. But yogurt's health benefits will certainly not be the only reason these tempting recipes become family favorites. Who can resist Lemon Yogurt Muffins, Mediterranean Chicken Salad, Curried Shrimp and Baby Vegetables, or Chocolate Yogurt Cheesecake? Whether it's in spicy side dishes, a savory main course, or sweet baked goods, yogurt is a sophisticated addition to any cook's repertoire--and with the Stonyfield Farm Yogurt Cookbook's easy-to-follow recipes, is indispensable for wholesome and healthful cooking.